Day 7: Library aides caught working hard! It's only the 4th time they've been in the library aide class, but you couldn't tell by the way they were working! Kudos to these 8th graders as they rocked the check out line. 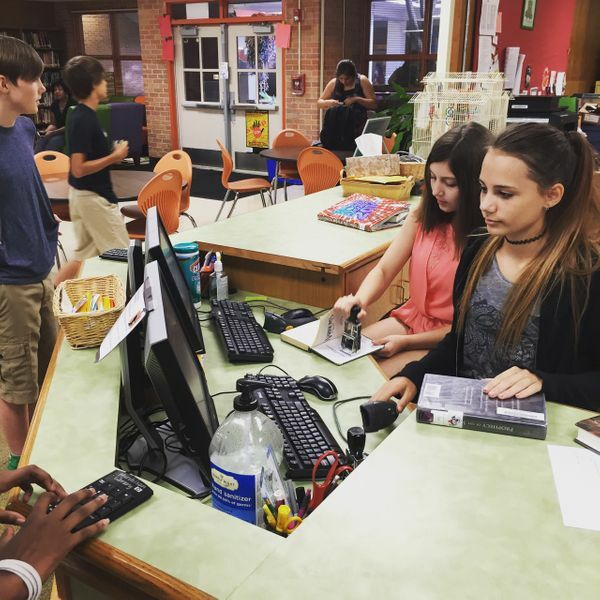 Ms. Cochran tells her library aides on the first day: "This is like an internship. Except without any pay. You will work hard, but you will learn a lot. And I'm here as a reference for whenever you need that first job."